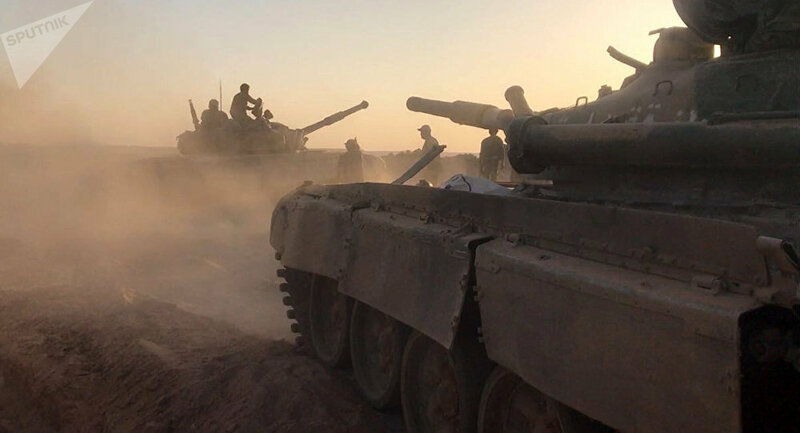 Tensions in the southern de-escalation zone have intensified amid an anti-terrorist operation conducted by the Syrian Army. The Russian Defense Ministry has stated that the Syrian government forces, jointly with the Free Syrian Army (FSA), has repelled over a thousand al-Nusra Front* attacks in the southern de-escalation zone. As a result of the attack, five Syrian soldiers were killed and 19 others injured, according to the Russian Defense Ministry. "At present, Syrian soldiers are engaged in defensive battles, the loss of government troops amounted to 5 people killed and 19 wounded. In addition, residents of these settlements were hit by terrorists," a Defense Ministry statement reads. The ministry noted that FSA field commanders, who had earlier sided with the country's legitimate government, asked Damascus for help via the Russian Center of Syrian Reconciliation. In some areas, the Syrian Army, together with FSA detachments, managed to stop the militants. Measures are being taken to protect civilians. Tensions in the area have been high since the Syrian Army launched an anti-terrorist campaign there, with the US envoy to the UN calling on Moscow to "do its part to respect and enforce the ceasefire it helped establish" and convince Damascus to stop "any further destabilizing action in the southwest and throughout Syria." Most of Syria's territory has already been liberated by the government forces backed by Russian Air Force, however, there are still some terrorist pockets located mainly in the southwest US-controlled areas. In April, a military diplomatic source told Sputnik that the al-Nusra Front had been advocating a joint offensive against government troops claiming that the de-escalation regime had been violated. The source added that the group sought to create an autonomous state in areas under their control with US support. The international community has actively been making an effort to find a solution to the Syrian conflict and forge peace within the country. 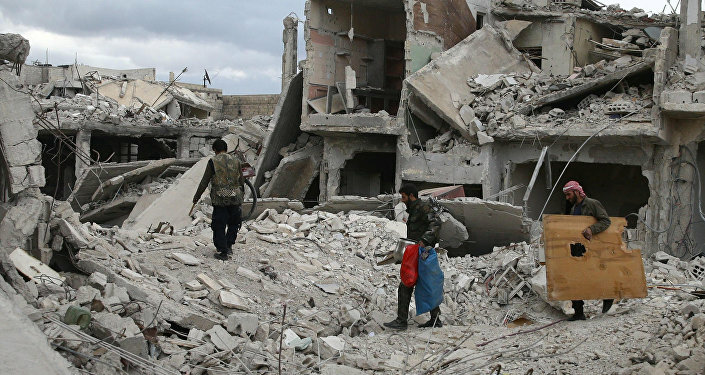 As a result of the Astana talks, four de-escalation zones have been established in Syria, among which is a southern de-escalation zone in parts of the country's Daraa and Quneitra provinces.